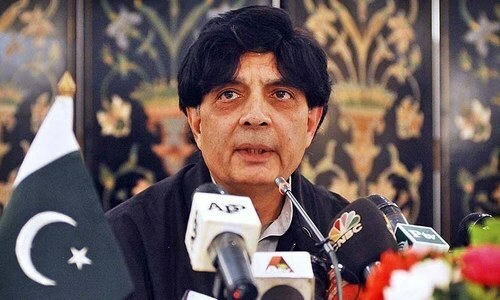 The Supreme Court on Tuesday released its written judgement in the 2016 Quetta carnage case, dismissing a request to omit observations against former interior minister Chaudhry Nisar from the Quetta inquiry commission's report. 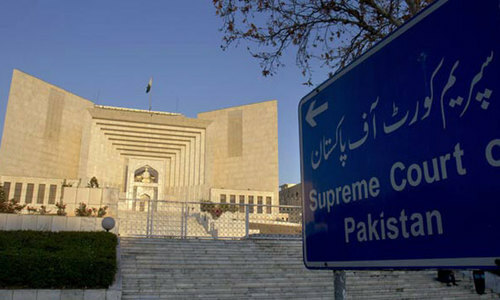 In September 2016, giving into calls for judicial intervention, the apex court had taken suo motu notice of the deadly suicide bombing at Quetta Civil Hospital, which had claimed 76 lives, a month earlier. Fifty-seven lawyers were killed in the carnage. Justice Asif Saeed Khosa, who presided over the three-member bench that heard the case, issued the five-page written judgement today. "The said findings [...] are based upon observations of the commission and are not to be treated as findings of this court," Justice Khosa wrote, rejecting Attorney General Ashtar Ausaf's request to omit the observations against Nisar from the report compiled by the Justice Qazi Faiz Isa-led Quetta inquiry commission . The inquiry commission's report on the 2016 tragedy had regretted a meeting that Nisar held on Oct 21, 2016, with Maulana Mohammad Ahmed Ludhianvi, the head of three banned organisations — Sipah-i-Sahaba Pakistan, Millat-i-Islamia and Ahle Sunnat Wal Jamaat — to listen to the latter’s demands. According to the commission's report, Nisar had been unable to fulfil his responsibilities as an interior minister. "In the 3.5 years that he held the post of interior minister, Chaudhry Nisar only called one session of the National Counter Terrorism Authority's (Nacta) executive committee," the commission's report had said. The AG had maintained that the observations against Nisar were "person specific" and "uncalled for". In the written judgement, Justice Khosa noted that Balochistan attorney general had stated before the court that the provincial government has taken measures in keeping with the inquiry commission's recommendations. Similarly, the judge added, Attorney General Ausaf told the court that the commission's report served as a "source of guidance" for the federal government. Justice Khosa added in the judgement that, according to Attorney General Ausaf, Nacta had been made fully active and the recommendations of the Quetta inquiry commission were implemented. "According to [Attorney General Ashtar Ausaf], some aspects of the recommendations made by the inquiry commission are being implemented immediately whereas the other areas are being attended to in all earnest," Justice Khosa noted in the written judgement. "[Ausaf] has submitted that some changes in the relevant legislation are being worked upon, the National Action Plan is being put into practice, a counter-narrative qua extremism is being developed and all out efforts are being made by the Government of Pakistan to remove the shortcomings highlighted in the report," he added. "We find that at this stage, most of the major issues arising out of the said incidents have seriously been attended to or solved by the Government of Balochistan as well as the Government of Pakistan after persistent nudging by this court," reads the judgement. "Indeed, the Quetta carnage was a national tragedy," the judge wrote. "Due to the carnage, several other problems took root. In order to resolve those problems, the courts had to fulfil its responsibilities." In his written order, the judge disposed of the application of a member of Hazara community, requesting to be made party to the suo motu case. The judge wrote in the judgement that the federal government and the Balochistan government have already taken steps towards the protection of the community. "We expect the federal and provincial governments to continue their efforts in that regard and to leave no stone unturned for securing their lives, legal rights and legitimate interests," Justice Khosa added. "This application is disposed of with this exception," the judge said. At least some one is hearing the helpless people so courageously. Thumb up for SC. Bravo, I further request the society, Authorities to Amend the regulations and address Disabled as VIP ( very important person).And special person should be used for all those who consider them VIP. Another great news and findings of the SC, in this time, it considers and issues their remarks about Ch Nisar and his role in Quetta's incident. Now Ch Nisar's role as a former home minster is questioned - no wonder, he is sticking with Nawaz Sharif! Pathetic Chaudhry Nisar. His track record as interior minister was horrible. Glad to see the SC dismissed the request.